According to the American Society of Plastic Surgeons website , plastic surgery in India may have very old accounts, dating back to as early as 800 BC when ancient Indian physicians performed skin grafting. The expertise of the present-day Indian plastic surgeons may very well make these early physicians proud, as this South Asian country is becoming one of the world’s top medical tourism destinations. Hundreds of patients from all around the world go to India every year to avail the services from India’s best plastic surgery hospitals and surgeons. With today’s high-tech mediums like the internet, word of mouth spreads like wildfire. Encouraged by glowing feedback collected from previous patients, more and more people are becoming open to the idea of having plastic surgery away from their home country. Considering that first world countries in North America and Europe charge exorbitantly for the same procedures, no wonder that countries like India are increasingly becoming popular for patients. The cost of cosmetic surgery in India can be as low as 40% of its regular cost in the US or the UK. However, the quality of healthcare medical tourists receive in India is comparable to the first world countries. With the recent escalation of the medical tourism industry, internationally-accredited hospitals have sprung up, with entire medical tourism departments dedicated to serving foreign patients. Its wealth of internationally-trained surgeons is another attraction, with their skills and experience and fluency in English becoming a huge draw to medical tourists from all over the globe. Indian medical tourism is among the fastest-growing industries in the world. Tourists may consider various striking spots they can go to, while on a medical holiday. The culturally-rich India has a spell-binding beauty that draws foreigners – from pristine beaches to awe-inspiring religious temples. The Taj Mahal in Agra alone – perhaps one of the most recognizable structures in the world – draws an average of 3 million tourists every year. 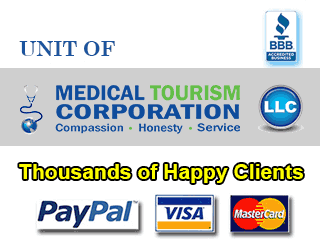 Medical tourists who want an extremely smooth trip planning enlist the help of medical tourism agencies. The most reputable companies have connections to the most experienced plastic surgeons in India, as well as the best hospitals to go to. Aside from the ability to provide assistance from airport-hotel-hospital transfers to cheap hotel accommodations in India, they are also able to coordinate with hospitals to provide an itinerary that will accommodate both medical visits and tourist activities. With the help of the right medical tourism agency , plastic surgery in India can become both business and pleasure for any medical tourist. Submit the free request quote form on the right for more information on Plastic Surgery in India.